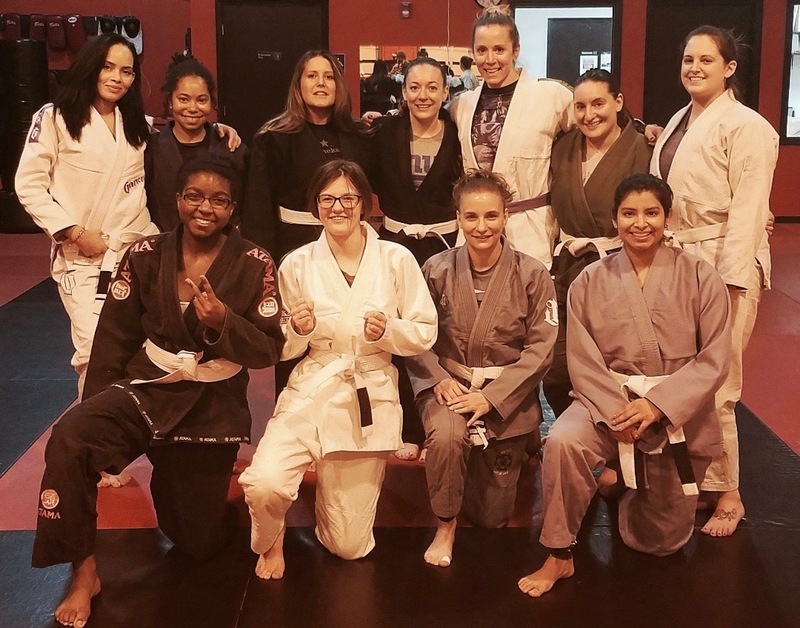 Strategic Women’s Only Brazilian Jiu-Jitsu and Kickboxing is a program designed for self improvement, self defense and self empowerment. This program is not only for weight loss but for discovery of a new way of life. The program consists of different forms of training to help you reach your maximum potential. Our professional instructors integrate high intensity fitness with practical martial arts applications suited for all fitness levels. Embark on a new journey to step away from your previous self and become your own hero. Strength – Build a unique sense of empowerment by building strength in the physical and mental form of training. This program will build overall strength not only in your fitness life but in your personal life as well. We look to promote each of our members to become stronger in character just as much in their physical appearance. This will enable you to tackle any physical or mental obstacle associated with everyday life. Balance – Our program seeks to reach the entire spectrum of fitness by allowing you to experience variation in training tools to reach your fitness goals in every category. We believe in using a balance of Martial Arts, cross training, flexibility and cardiovascular endurance to give you the complete fitness experience and steer you away from monotonous routines. Courage – Taking the journey into our program starts with the initial step. Step away from the same old routines and into our vast program to enhance your overall fitness. This initial step is not just conquered on your first day but through consistent participation. Once you begin you will not only build physical results but a unique sense of community and friendships. The courage you build by stepping into the unknown will directly translate into your everyday life by amplifying your confidence and self empowerment. It is a group of martial arts and stand-up combat sports based on kicking and punching, historically developed from Karate, Muay Thai and Western Boxing. It is often practiced for self-defense, general fitness, or as a contact sport. Kickboxing is a high energy, explosive workout. Strategic Women’s Kickboxing program consists of cardiovascular workout consisting of jabs, hooks, uppercuts and kicks designed to get you on your way to a leaner body and healthier state of mind. Brazilian Jiu-Jitsu is a martial art, combat sport, and a self defense system that focuses on grappling and especially ground fighting. The art was derived from the Japanese martial art of Kodokan judo in the early 20th century, which was itself developed from a number of schools of Japanese jujutsu in the 19th century. How does Brazilian Jiu-Jitsu Work? It teaches that a smaller, weaker person can successfully defend against a bigger, stronger assailant by using leverage and proper technique—most notably by applying joint-locks and chokeholds to defeat the other person. Brazilian Jiu Jitsu can be trained for sport grappling tournaments (gi and no-gi) and mixed martial arts (MMA) competition or self defense . Sparring (commonly referred to as ‘rolling’) and live drilling play a major role in training, and a premium is placed on performance, especially in competition, in relation to progress and ascension through grades/belts.